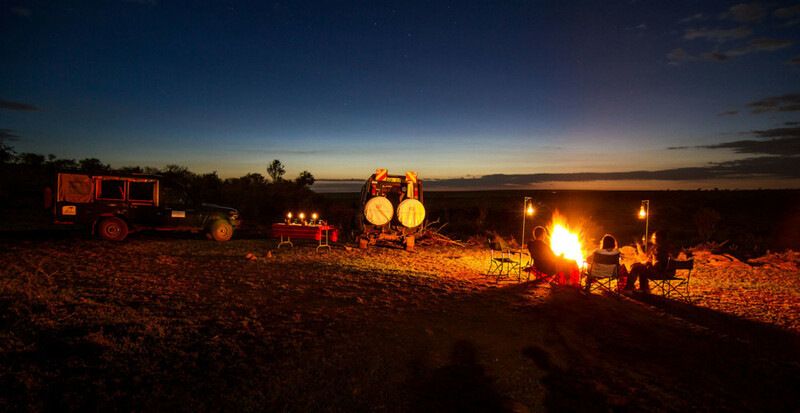 This is bush life at its most glamorous – fine cuisine, a fully stocked bar and personal service. Our experienced chef will impress you with a varied menu while our staff will pour your drinks. 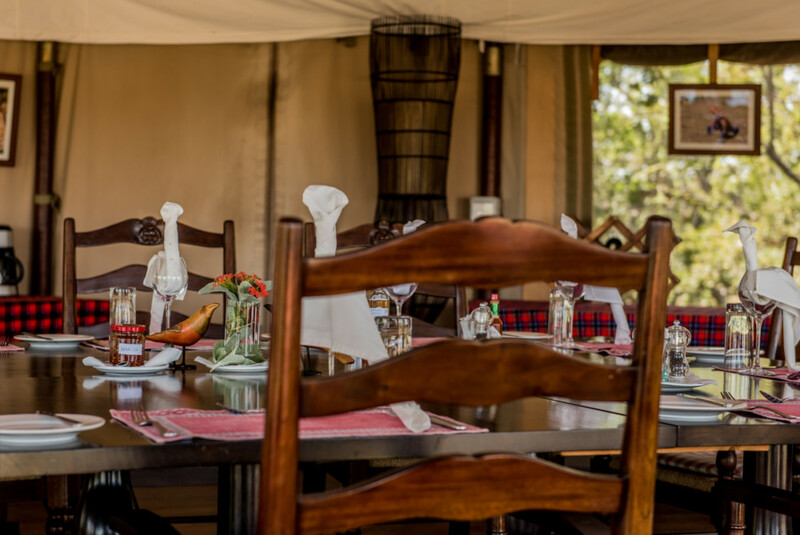 The beauty of our catering is its mobility – wherever you are in the Conservancy or the Reserve, you can indulge in excellent fresh food served on china plates and chilled drinks poured into real glasses. As well as being mobile we’re also flexible. 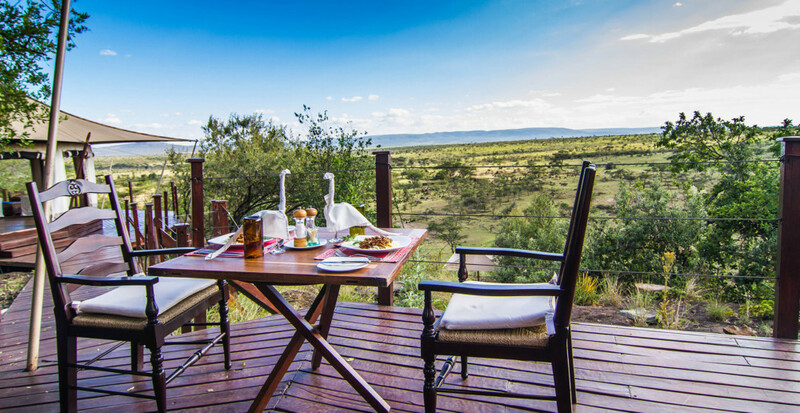 Breakfast can be before you head out for a morning game drive or after you come back. 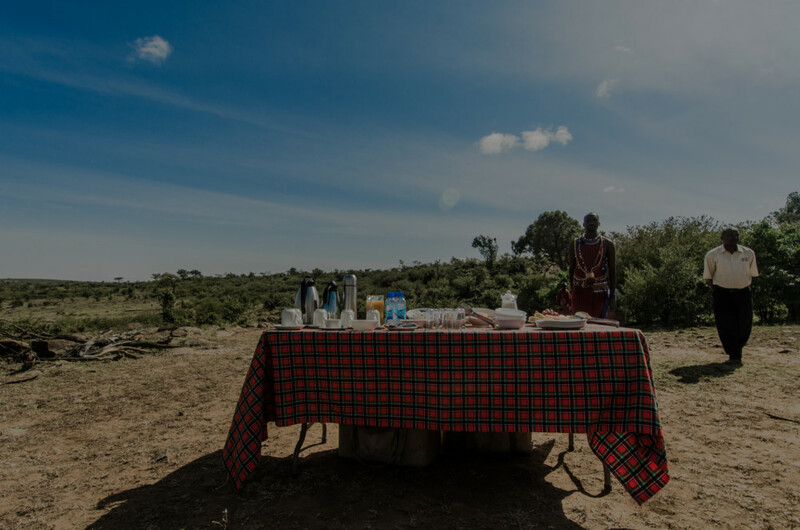 Lunch can be a perfect picnic out in the Reserve or a light lunch back in camp. 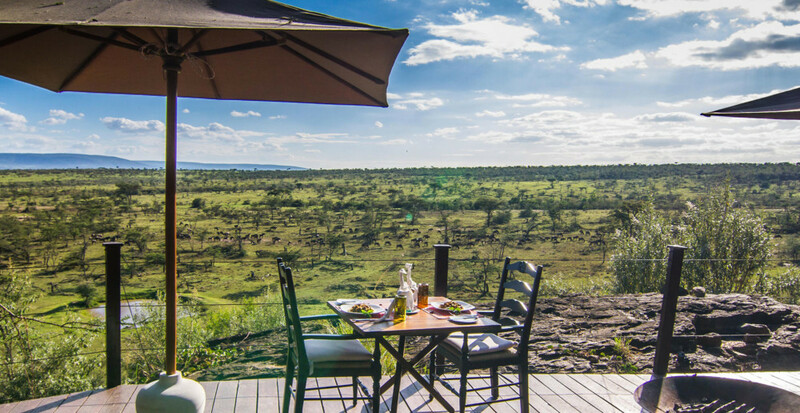 After a long day on safari, afternoon tea is delivered to your room as you take a few hours to relax and re-energise. 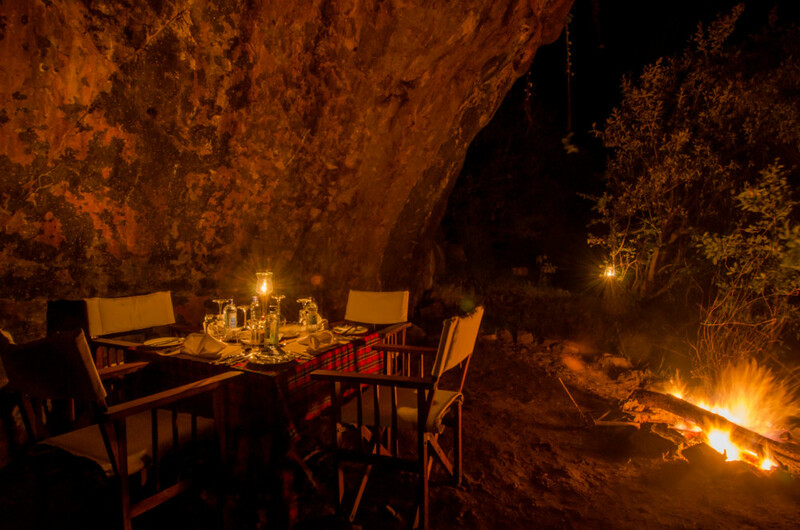 And if all that’s not enough, enjoy a 4 course dinner in camp or out in the bush under the stars. 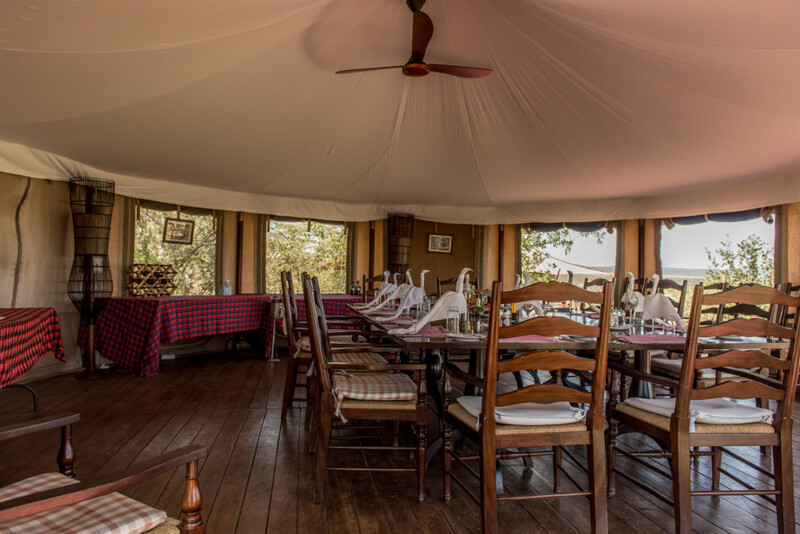 With a near panoramic view of the acacia scrub beyond your table, the dining tent will excite your senses. Breakfast offers a healthy continental buffet and a hearty and familiar English breakfast with our chef on hand to prepare your eggs exactly as you like them. Lunch will re-energise after the morning’s excursions and dinner is sumptuous with an extensive repertoire of classic dishes made with locally sourced ingredients. 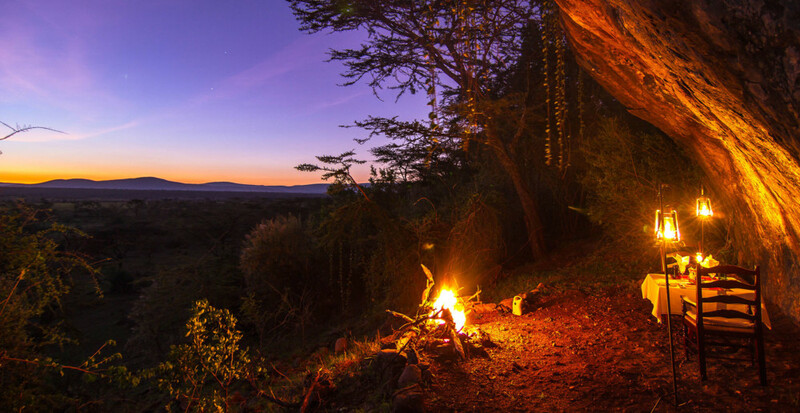 Perhaps you might prefer the solitude of a private al fresco meal on the deck of your tent. 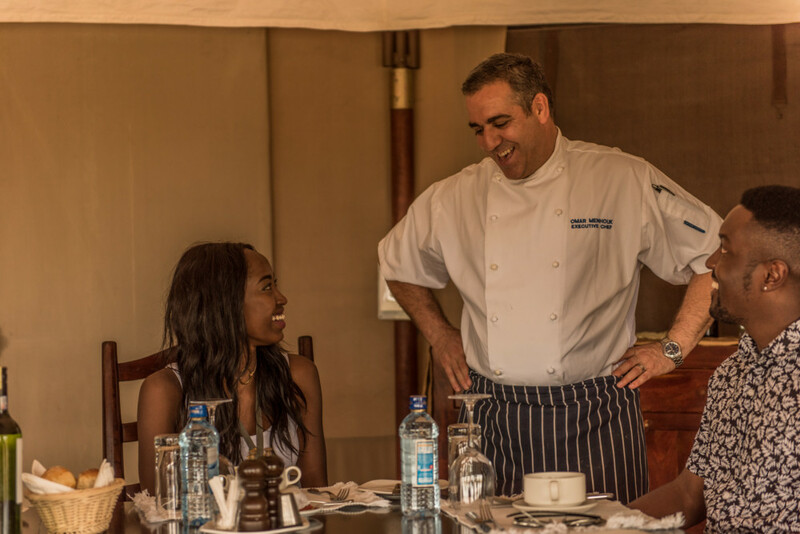 In the Nina tents, we will serve you from the kitchen and our waiters will attend to you unobtrusively. 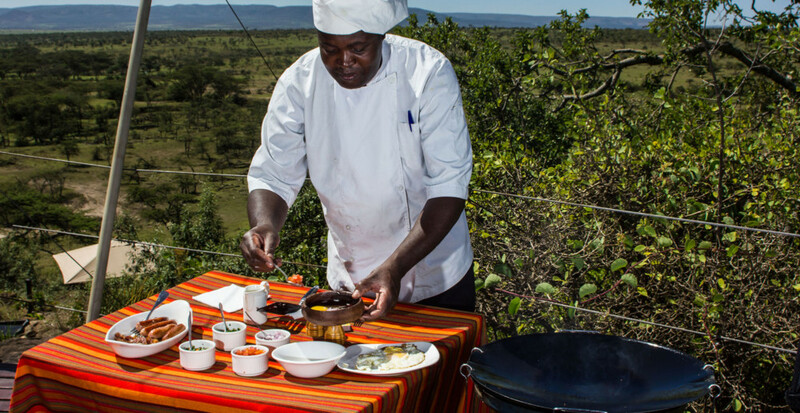 In the Chui and Simba tents, we can give you a private chef for the night who will cook in your personal kitchen and serve you at your own dining table. 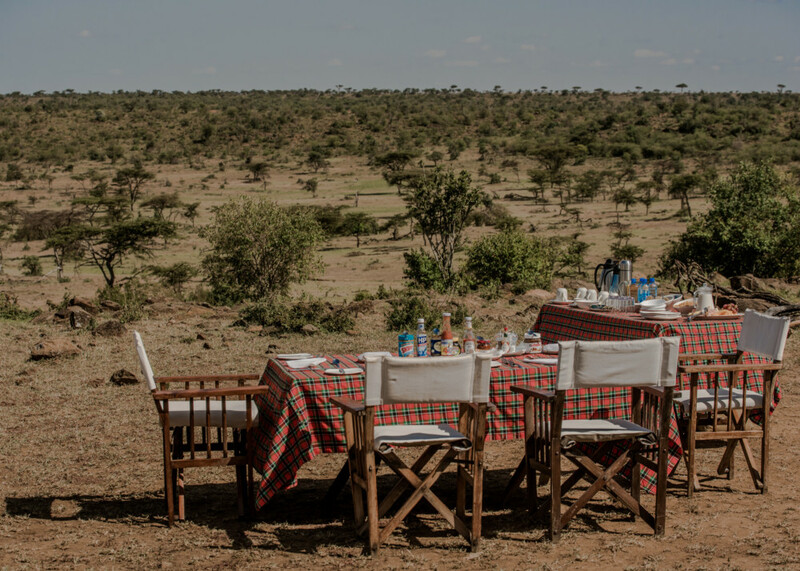 Our kitchen is totally mobile so don’t be surprised if you find the dining floor is the grassy plain of the conservancy one evening or if the kitchen one morning is transformed into a tree trunk and trestle table. 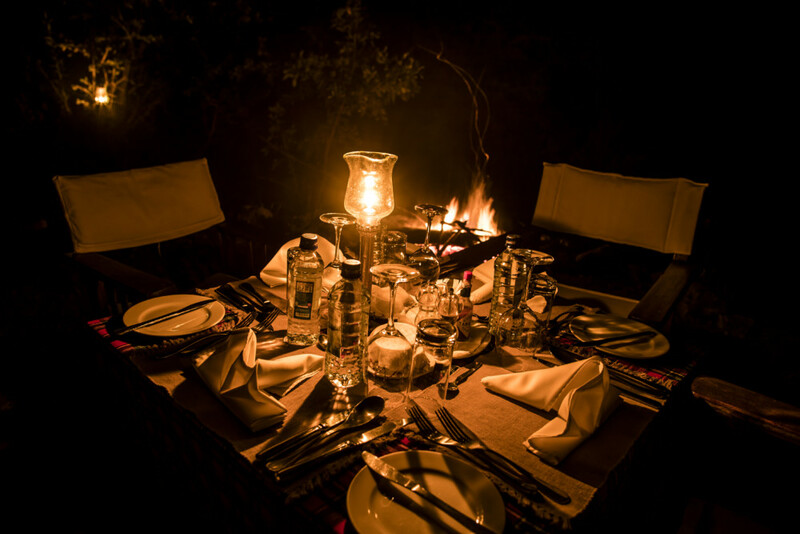 Our specially designed safari coolers and hampers make for the most luxurious picnic lunches too. We always try to support local producers and enterprises as much as we can in the produce we buy. We source our eggs from a group of local Maasai ladies in the nearby village of Nkoilale, we grow organic herbs in our own shamba within camp and source additional items when required from local sellers at the Monday market in Nkoilale.